Lots of organisations are good at inspiring or motivating citizens to be active - via campaigns, targeted messaging, creating online communities, and many more methods. However, once citizens are engaged, it is often hard to provide them with up to date information about the appropriate and available physical activities for them to participate in. Local leisure operators, sports organisations and activity providers have hundreds of available activities everyday - we just need to get the information about those activities in front of the citizens that are being engaged. To date, the best options have been to manually collect that information (presenting it in a pdf or other format), ask providers to manually update the information themselves (often leading to out-of-date information) or to list lots of provider websites for the user to explore themselves. It is universally recognised that this experience could be considerably better, but connecting to every provider for a live feed of activity information is too hard and onerous for most organisations to consider. Until now. imin aggregates opportunity data (i.e. information about available physical activities to participate in) that has been openly published by activity providers as part of the OpenActive programme. By aggregating this information from multiple sources, cleaning it (removing or augmenting inaccurate activities) and validating it (removing inappropriate activities), imin is able to supply any organisation a live data feed of available activities across the UK. For example, a local authority running a summer physical activity campaign with a dedicated webpage might wish to use the imin service to display available physical activities on a map on the main webpage as a way to signpost citizens towards opportunities to be active. It is important to note this isn't just an aggregated list of activity timetables - where possible it is based on availability - i.e. if the activity has no more spaces left, or the session is cancelled, then this will be reflected in the data feed. 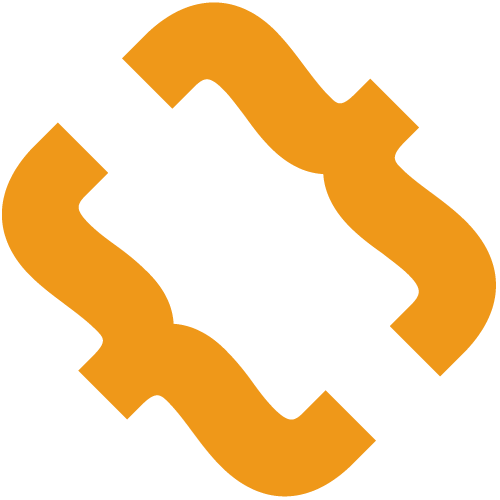 This live database of available activities information can be accessed via our Availability API (Application Programming Interface - the way systems share information). The API can be used to power activity finders on websites and apps, map-based interfaces, or many other types of web-based application. Our goal is to enable users in the physical activity sector to have the same experience from any website as they would from any travel website, where you can search for real-time availability of rooms and easily browse through the choices. Taking the travel analogy one step further, where you can book and pay for your hotel room from most online hotel comparison sites, imin will also provide APIs that enable consumers to book and pay for physical activities without leaving the website they are on. More details about this service will be available soon. Watch this space! We're looking to work with potential new customers that are forward thinking organisations that want to create the best user experience for their consumers. We aggregate open opportunity data from various activity providers across the UK. We do not aggregate any personal data or participation data from provider's existing members or participants. We deliver clean, usable opportunity data. In the near future we will deliver functionality and data that enables booking of physical activity opportunities across any website or app. We work with a range of organisations across the UK, including local authorities, country sports partnerships and private sector companies. 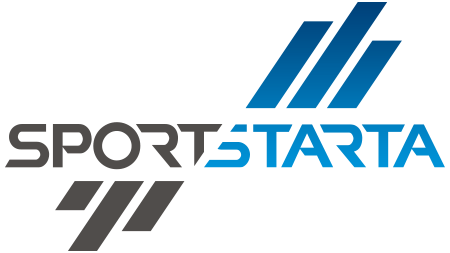 We are technology partners to London Sport, and are one of the leading organisations helping push forward the OpenActive initiative with the Open Data Institute and Sport England. 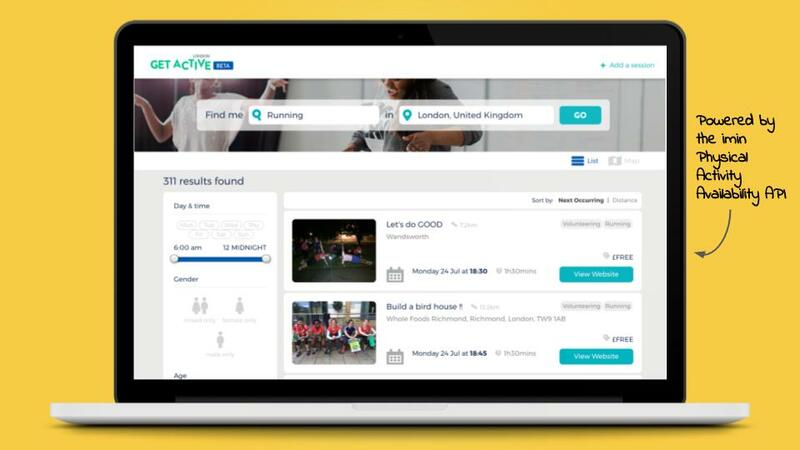 An example customer of the Physical Activity Availability API is Get Active London - the activity finder for the capital. We partner and collaborate with a number of organisations and products in the sector. Products that are already integrated with the Physical Activity Availability API, or are in the process of integrating, include: Flexi, Get Active, Playwaze, Played, My Local Pitch, SportyWe, Kinetic Insight and others. We are currently agreeing a collaborative approach with 4Global and the DataHub product. We are a keen supporter of OpenActive and sit on the Advisory Board. We are pioneering a brand new experience for the sector - it's a national movement towards open data and much better search tools for the population. Our APIs also make it easier for other developers to enter the sector and create new health tools to help engage the population in physical activity. You can read more about our journey here. We're on a mission to use open data to make physical activity searchable and bookable.